The complainant had approached police on June 19 alleging she was molested by Satish Kumar, an assistant professor in college's Chemistry Department. St Stephen’s college principal Valson Thampu. 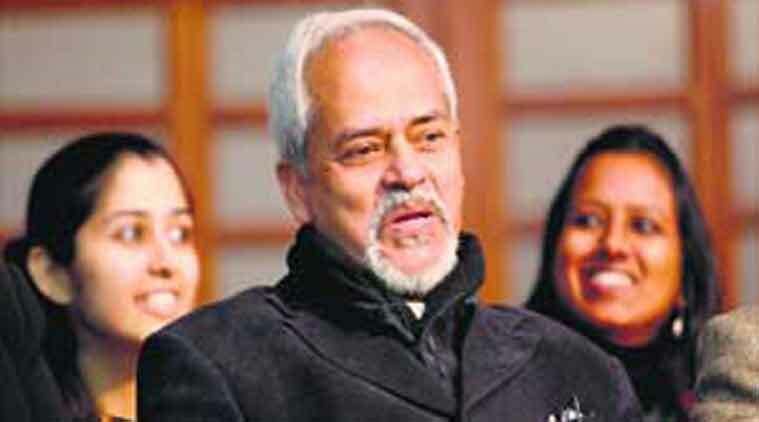 St Stephen’s college principal Valson Thampu, who is embroiled in a controversy over shielding the accused in a molestation row, on Sunday claimed “the victim is being used against him” and a forensic investigation of the “purported” recordings will clear the air. “I feel sorry for the victim. She is being misled and is being used against me by certain elements in the college only. She has admitted herself to the media that she released the audio recordings as advised by a ‘teacher’,” Thampu told PTI. “She is not understanding that she is being guided or prompted by certain people to serve their ulterior purposes. The end of this can only be destruction because the truth cannot be hidden,” he added. The principal, however, did not comment on who those “certain people” are. A research scholar, who has alleged she was molested by a college professor and Thampu had tried to shield the accused, approached police last week with four recordings that she claimed to have made during her meetings with the principal where had allegedly pressurised her to withdraw the complaint. While Thampu is maintaining that the recordings have been “mischieviously edited”, he said the editors did not do a good job. “The purpoted tapes have statements contrary to allegations raised by the complainant against me. I am disappointed as a better job could have been done in editing the recordings. “I have good reasons to believe that the truth will come out if the tapes are subjected to forensic investigation,” he added. The complainant had approached police on June 19 alleging she was molested by Satish Kumar, an assistant professor in college’s Chemistry Department. She had also accused Thampu of “criminally intimidating” her to give a written application to him expressing her consent to close the matter in college itself in order to not cause any delay or problems in completion of her PhD”. While the demand for Thampu’s resignation over the issue is growing louder, HRD ministry has asked UGC to ensure the probe is completed by college’s Internal Complaints Committee (ICC) “expeditiously” and “impartially”. The victim, however, has refused to appear before the ICC, saying she has no faith in its proceedings and hence she is seeking redress elsewhere.